Dubbing Agencies are the majority institutions in Istanbul. Turkey is among the rare places we look at the distribution in general. Even Model Cast Agencies are four times more than dubbing agencies. This means that 96% portion of the dubbing agencies in Turkey are located in Istanbul. The rest is in Izmir and Ankara. We estimate that the number of dubbing agencies in Istanbul is between 30-70. 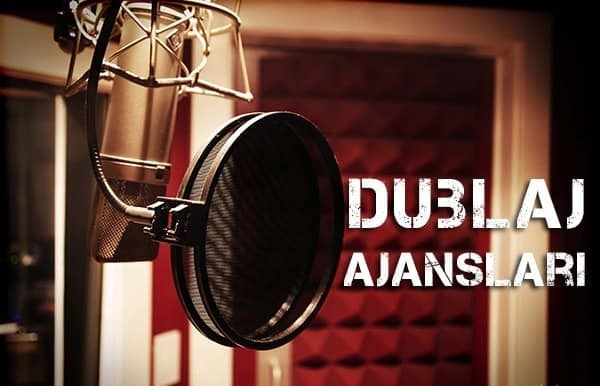 The first 10 of these dubbing agencies are the largest and most comprehensive, while the remaining dubbing agencies are medium-sized and small dubbing studios. 78% of those who registered for the voice cast of Dubbing Agencies did not receive any training, but they believe that they have the talent, 12% of them are really talented and educated, 10% of them are talented but have no education. This research is from BiberSA Production human resources, voice reference application statistics. This means that the number of active dubbing artists in the market is 12%. In addition to having the ability to register for dubbing agencies, you need to have some experience with this. Talented candidates with no experience can say ‘what about us?’ You can also go to a dubbing studio and just want to watch what’s going on. As dubbing agencies allow, you can watch the dubbing process. Can you be a dubbing artist just by watching? Yes, the first step of being a dubbing artist is to follow the subject. You can learn 50% by watching the dubbing action. The rest is up to your application.